I want to become a koala, meow. 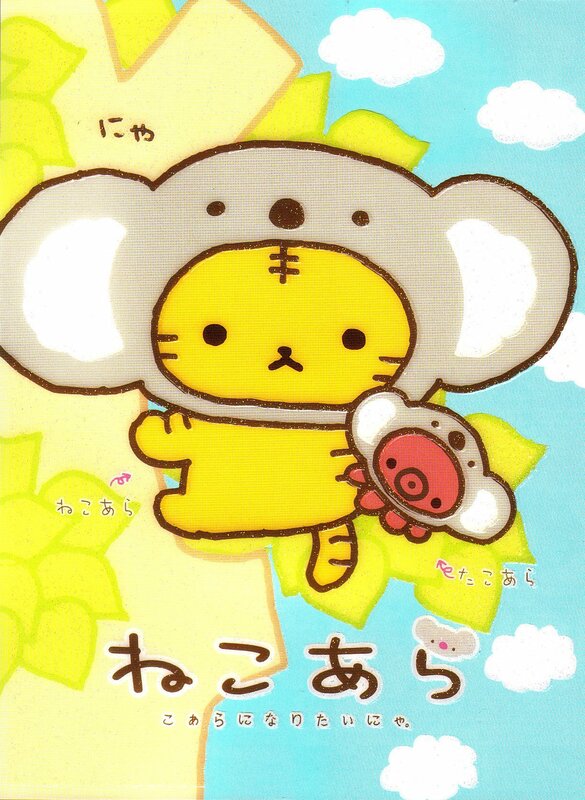 A cat that wants to be a koala with a play on "neko" meaning cat and "koara" meaning koala coming together to form "Nekoara." Ahaha. Super cute though and if that wansn't weird enough for one guy, he has an octopus friend who also wants to be a koala! 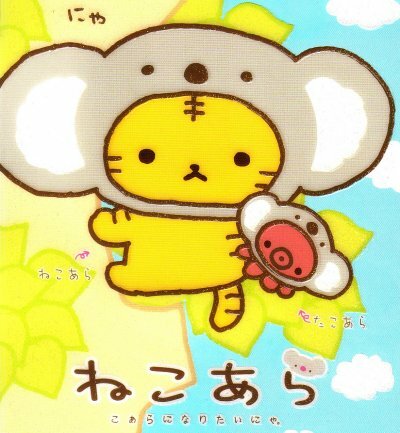 Another pun with that where "tako" means octopus and thus combines with koala to be "Takoara."